In the remotest parts of the Peruvian Amazon, some of the last remaining uncontacted tribes on the planet are at a high risk of extinction due to illegal logging and oil exploration. Survival International, an organisation devoted to the protection of tribal peoples, believes there to be around 15 remaining, living in remote regions of the Amazon, thought to include the Cacataibo, Isconahua, Matsigenka, Mashco-Piro, Mastanahua, Murunahua (or Chitonahua), Nanti and Yora. In the past, encounters with previously uncontacted tribes have proven disastrous, with an estimated 50% of the Murunahua Indians dying from diseases such as cold and flu, from which they had no immune system, for example. These are serious dangers to these largely nomadic Indians, where encounters are becoming more and more frequent. The Peruvian government has leased up to 70% of the Amazon to oil companies, who are continuing to explore previously uncharted territory deep within the jungle, which has made these encounters inevitable. To add to the mix, there are also many illegal logging operations taking place in these regions, hunting for the last remaining mahogany, or 'red gold' as it is called. These factors combined are having a devastating impact on the safety and future of these tribes. Peru's current 'open door' policy on oil exploration is bad news for the tribes – the future is not looking good. In 2007 an uncontacted tribe was witnessed from the air by a plane that had been chartered to search for evidence of illegal logging. This led then president Alan Garcia to claim that the sighting had been 'created by environmentalists' opposed to oil exploration. Recent reports have led people to believe that some of the tribes are relocating and crossing the border of Peru into Brazil. “There has been a forced migration of autonomous groups in Peru, caused by mahogany exploration in the headwaters of the Jurua, Purus and Envira,” Jose Carlos Meirelles, head of the FUNAI (the Brazilian government’s Indian Affairs Department) said. FUNAI has gathered evidence in the form of arrow heads belonging to the tribes, and of numerous sightings of the Indians and their housing. It has also witnessed signs of illegal logging coming from the original home of the people, such as boards of mahogany floating along the river. “The collection of arrows on my table is piling up. . . The situation will only be resolved when the Indians are left alone on the other side of the border,” said Jose Carlos Meirelles. The only way to help these Amerindians avoid total extinction is to protect their environment by putting a stop to the illegal logging operations and imposing restrictions on the oil exploration companies. This is somethingSurvival International is working hard to achieve, by applying pressure on the Peruvian government to do all they can to protect these uncontacted tribes. 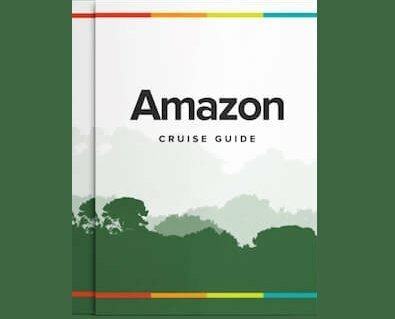 While Rainforest Cruises does not claim to be directly protecting these uncontacted tribes, we do believe that eco-tourism, when done well, is a way to bring awareness of the issues facing Amazonia to the wider world and offer an economic counter-balance to the rapacious demands of extractive industries.